Tamamo no Mae: School Uniform Ver.! 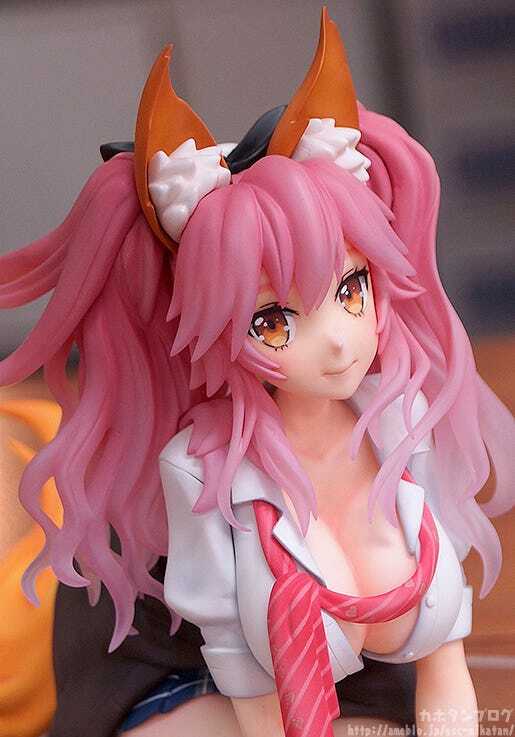 From the high-speed action game “Fate/EXTELLA: The Umbral Star” comes a 1/6th scale figure of Tamamo no Mae wearing a school uniform, based on an illustration that was included as a store purchase bonus! The figure is posed kneeling on a cushion with her shirt buttons undone to reveal her impressive cleavage, with her cute twin-tailed hair sculpted and painted with great care to capture the original illustration as faithfully as possible! 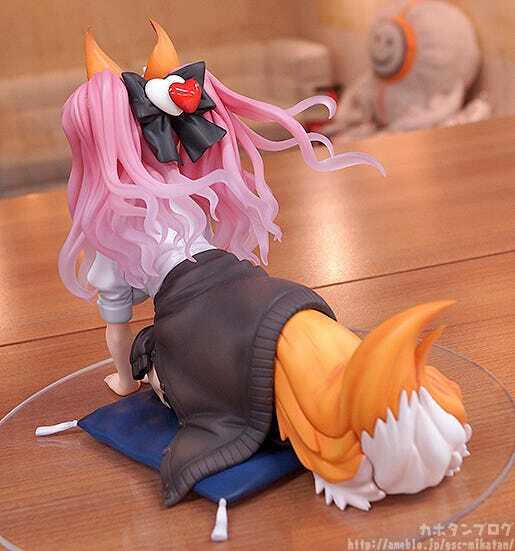 Be sure to add the cute bowing Tamamo to your collection! The foxy good wife wearing a revealing school uniform! 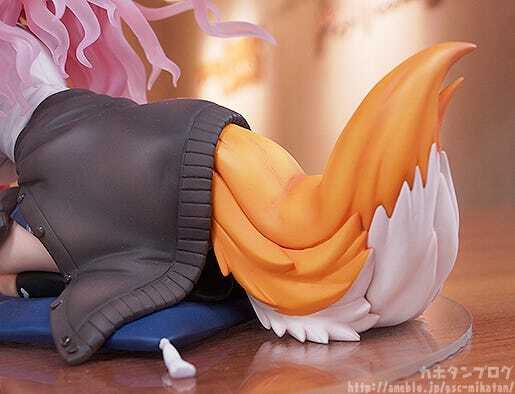 The original illustration that the figure was based on was originally a bonus included with purchases of Fate/EXTELLA: The Umbral Star from certain stores, but now it has been converted into an amazing figure by Phat! for fans to enjoy! 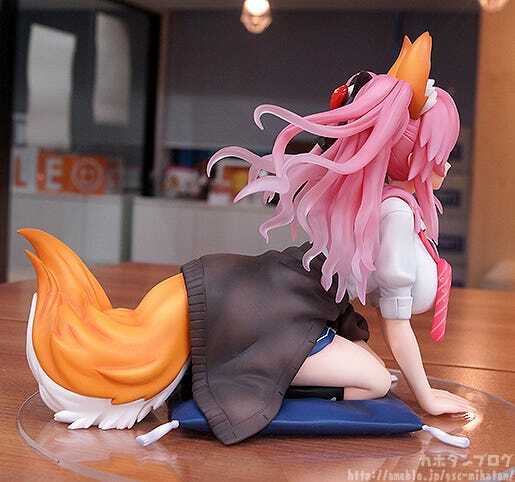 Even though she is in a sitting pose, the figure has some impressive volume thanks to her hair and tail! The attention to detail is also fantastic! Here is a size comparison with an iPhone 6! Takamatsu: The first ever school uniform look for Tamamo no Mae! The fact that the “good wife” is dressed up in a school uniform also has a strange kind of imbalance that makes her all the more appealing! 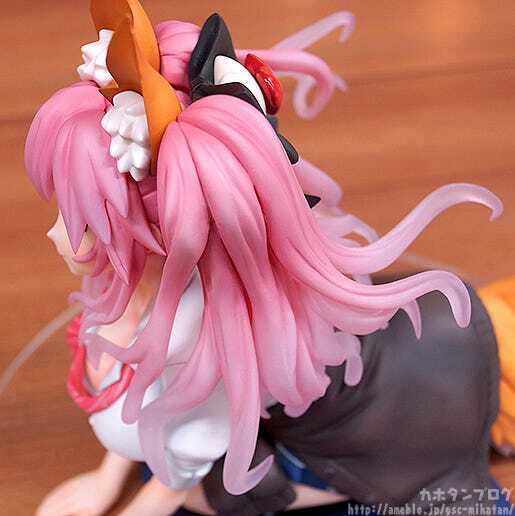 Takamatsu: Tamamo no Mae has always had a very impressive bust, but this particular illustration has really emphasized the size which has in turn been represented on the figure as faithfully as possible! Takamatsu: The tips of the hair make use of translucent parts together with a gradient paint effect to create a beautiful look! Takamatsu: Underneath the skirt, the tail is properly attached to her! What you mean to say is… it’s attached to her, and not her clothes? Takamatsu: That’s right! But you’ll have to take a closer look for yourself once she joins your collection! ▲The tail itself already looks great, but wait till you see underneath!! A “foxy good wife” in her school uniform for your collection! Be sure to check the Phat Company Official Website and Good Smile Company Website on the day for more details! Preorders for many products at the GOODSMILE ONLINE SHOP are closing soon! 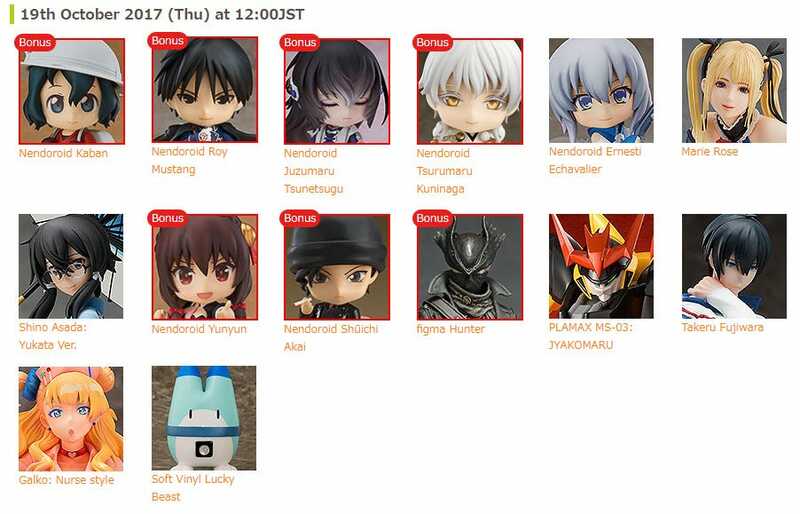 Here are the products closing on the 12th an 19th October (JST)!